This book identifies eight key mechanisms that can transform a set of ideas into a psychological flytrap. The author suggests that, like the black holes of outer space, from which nothing, not even light, can escape, our contemporary cultural landscape contains numerous intellectual black-holes—belief systems constructed in such a way that unwary passers-by can similarly find themselves drawn in. While such self-sealing bubbles of belief will most easily trap the gullible or poorly educated, even the most intelligent and educated of us are potentially vulnerable. Some of the world’s greatest thinkers have fallen in, never to escape. 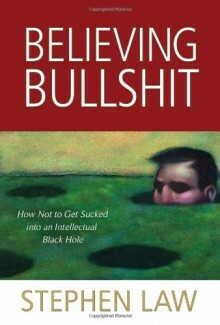 This witty, insightful critique will help immunize readers against the wiles of cultists, religious and political zealots, conspiracy theorists, promoters of flaky alternative medicines, and various other nutcases by clearly setting out the tricks of the trade by which such insidious belief systems are created and maintained.